Sino-French collaboration to develop business in Africa. June 30 2015, French Premier Manuel Valls and Chinese Premier Li KeQiang signed a collaboration agreement to reinforce collaboration between China and France, to develop cooperation in Africa. 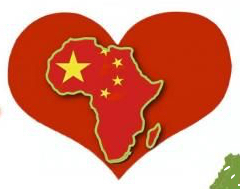 This collaboration agreement aims to facilitate China access to African business. China may benefit from French expertise and network to enter markets like medical, infrastructure, mining and agriculture.